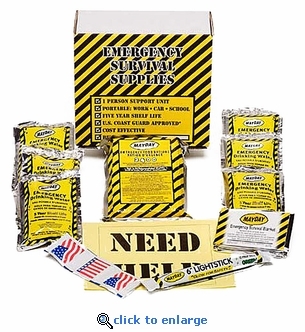 This set of 4 compact survival kits contains all the basic survival supplies to get you through those first 72 hours. Great for office or school emergency preparedness. The kits comes in a cardboard box or zip-lock bag. Food bar and water pouches have a 5-year shelf life.